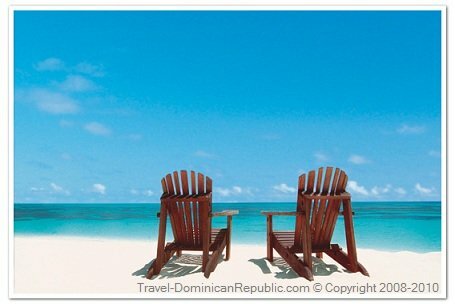 Dominican Republic travel, a family vacation in Caribbean paradise. breathtaking beaches, friendly people and perfect weather. The water is shallow and kids love it! It's perfect for boogie boarding or body surfing. This is one of my daughter's favorite things to do! Punta Cana has become the new hot spot of Caribbean travel. Dominican Republic beaches are beautiful and traveling to DR is very affordable. Please check out my paintings and drawings on Fine Art America! This is one of my pastels on this page: lotus flower art. Thank you for visiting! Dominicans are very proud of their country. That's why when you visit Dominican Republic they'll go out of their way to make you feel welcome. DR is the perfect place for a family vacation. Check out this DR Map! Punta Cana Map and several other cities. Driving directions and distances can be found in this page as well. Dominican Republic Blog keeps you up-to-date with all additions and changes to travel-dominicanrepublic.com Web Site. Subscribe here. Dominican Republic Beaches, Punta Cana one of the Best! Punta Cana! Bavaro Beach, my favorite caribbean vacation spot. My first trip to Punta Cana was in 1994. My family and I have been to several all inclusive resorts in Bavaro Beach. My family's favorite Punta Cana Resorts. Read our reviews of Gran Bahia Principe Punta Cana and other Dominican Republic Resorts. Punta Cana Resorts information for travelers. Barcelo Bavaro Palace rooms, amenities, restaurants, entertainment and more. Find information for your vacation here! Bavaro Princess All Suites Resort is one of the best all inclusive resorts in Punta Cana. Each spacious suite features a private terrace where you can enjoy the amazing view. Find Punta Cana Weather information right here. Weather in Dominican Republic with local forecasts for most touristic Dominican cities. You want to travel to Dominican Republic? Are you wondering about the Dominican Republic culture? What are Dominican people like? What about their food? Dominican Republic Food, Mangu, Rice, Beans and more! Staying in all-inclusive resorts gives you the opportunity to try some of the Dominican Republic Food. Resorts have a Dominican Night. That's when they will serve the most typical Dominican Food. Dominican Republic History, Christopher Columbus and the Tainos massacre. The Tainos were a big part of the Dominican Republic History and Culture. But things changed when Christopher Columbus arrived. Do you enjoy Dominican Republic Music? Did you learn some Merengue on your vacation and want to learn more? Listen to FREE Dominican Music now! Here you'll find travel resources for your vacation, Dominican Republic Travel gives you useful information for all your travel needs. Mi primer viaje a Punta Cana fue en 1994. En ese entonces todavia vivia en Mar del Plata, Argentina. Si te interesa mi historia entra aqui! Republica Dominicana, las vacaciones de mi familia en este paraiso del Caribe. Las experiencias de mi familia en la Republica Dominicana. Nuestras vacaciones en Punta Cana y Cabarete. Playas de Republica Dominicana, Punta Cana una de las Mejores! Mi primer viaje a Punta Cana fue en 1994. Mi familia y yo nos alojamos en varios hoteles todo incluido en Bavaro Beach. Hoteles en Punta Cana, los favoritos de mi familia. Lee nuestra opinion del Hotel Gran Bahia Principe Punta Cana. Informacion de Hoteles en Punta Cana. Barcelo Bavaro Palace habitaciones, servicios, restaurantes, entretenimiento y mucho mas. Encontra informacion para tus vacaciones aqui! Bavaro Princess All Suites Resort es uno de los mejores all inclusive resorts en Punta Cana. Cada espaciosa suite cuenta con una terraza privada donde podras disfrutar una vista increible. Aqui encontraras informacion sobre el tiempo en Punta Cana. El Clima en Republica Dominicana con pronosticos del tiempo de distintas cuidades. El mejor Mapa de Republica Dominicana, no busques mas! Aqui encontraras el Mapa de Santo Domingo, Zona Colonial y mas. Quieres viajar a la Republica Dominicana? Te preguntas como es la Cultura Dominicana? Como es la gente Dominicana? y la comida? Comida Dominicana: Mangu, Arroz, Habichuelas y mucho mas! Alojarse en Hoteles Todo Incluido te da la oportunidad de probar Comida Dominicana. Los Hoteles tienen una Noche Dominicana. Esa noche sirven la Comida Criolla tipica Dominicana. Musica Dominicana: Merengue, Bachata, Perico Ripiao y Reggaeton. Te gusta la Musica Dominicana? Aprendiste a bailar Merengue en tus vacaiones y quisieras aprender mas? Escucha Musica GRATIS aqui!